A new development of 52 apartments by WN Developments, situated within walking distance of South Wimbledon Station and Colliers Wood Station. Lauristons have sold 80% of the first phase of apartments with the PD section of the development and have now released the second phase of new build apartments. A new development of 55 houses and 55 apartments by Lend Lease, situated within walking distance of Southfields Tube Station. Lauristons are appointed as Sole Agents for UK sales of all units. A new development of 102 apartments and2 houses by Lend Lease, situated within walking distance of Battersea Park and Clapham Junction. Lauristons were appointed as Sole Agents for UK sales of all units. A new development of apartments by the Thornsett Group, situated overlooking York Gardens with completion due quarter2, 2016. Lauristons are currently appointed as Sole Agents and have secured sales for all units. A new development of apartments by Henley Homes, situated on the edge of the Vauxhall and Nine Elms regeneration zone due for completion February, 2014. Lauristons were appointed as Joint Agents for UK sales of the 1, 2 and 3 bedroom apartments. 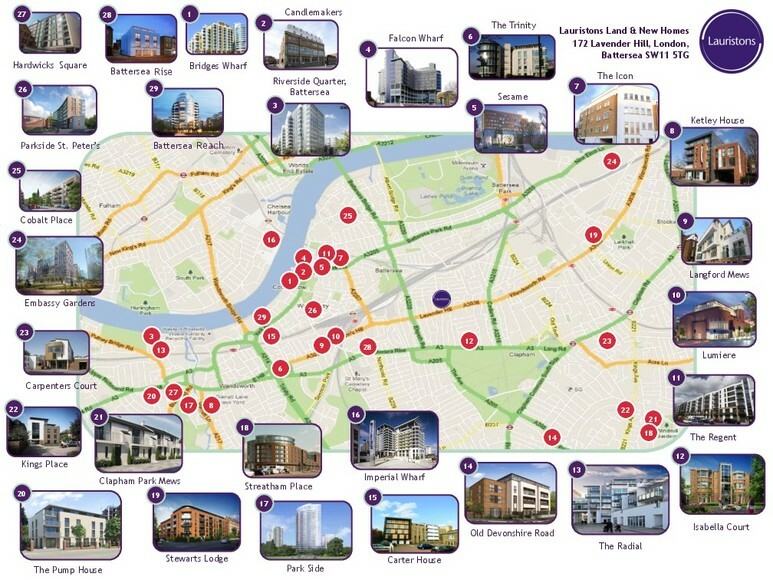 All apartments have been sold with Lauristons securing sales for 85% of the available units. This development of 9 units by Oppidan was released to the market in January 2013. All units were sold by the end of February 2013, with 6 out of the 9 units sold by Lauristons and the remainder by the jointly instructed agent. A development of 7 mews houses off Putney Bridge Road to the rear of commercial premises and apartments, close to Putney High Street and Wandsworth Park. Lauristons were instructed as sole agents and have successfully sold all the houses. Several of the houses were sold to local Putney residents with Lauristons’ Residential Sales team handling the sale of the purchasers’ properties. Formerly known as Caius House, a new development of one and two bedroom apartments due for completes in May 2014 consisting of 60 private units. The development also includes live-work units, a community centre and gym. 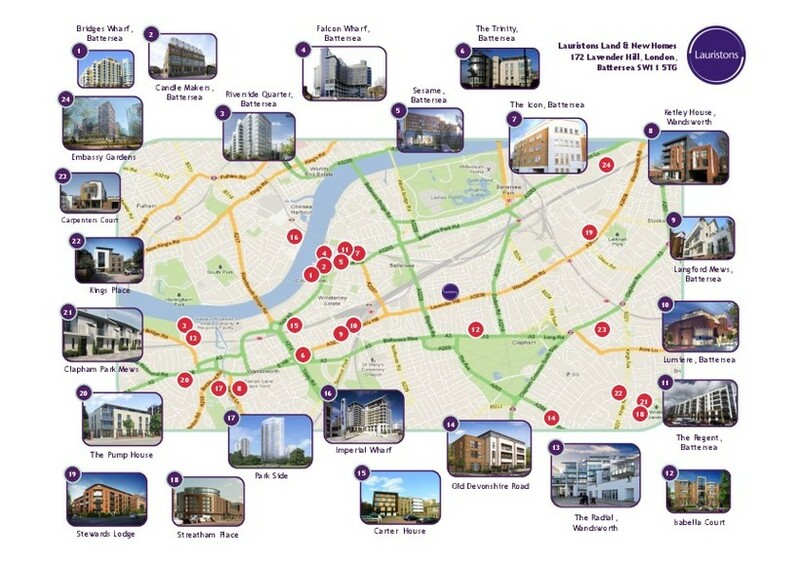 Lauristons are instructed by the developers, the Thornsett Group, as sole agents. Formerly known as the Annie McCall hospital, Lauristons successfully secured purchasers for all units in the first phase of the development, 37-39Jeffrey’s Road. Across the development, Lauristons secured sales of 19 out of the 21 units available to purchase. Sales were agreed to a mixture of buy to let investors and end user purchasers in advance of the availability of any marketing brochures or show units at prices far in excess of those for comparable property types in the road. A major new development by Ballymore of high specification executive apartments off of Nine Elms Lane offering one bedroom apartments, two bedroom apartments and duplexes. The site also includes a range of commercial space, retail outlets, public amenity space and a hotel, developed around. Lauristons acted as introducer agents and have secured sales working in collaboration with the on-site sales team. A mews development of 7 one and two bedroom modern homes. The site was acquired on behalf of clients by Lauristons who were retained to subsequently sell the newly built properties alongside a joint agent. Lauristons secured sales for all 7 of the new homes.